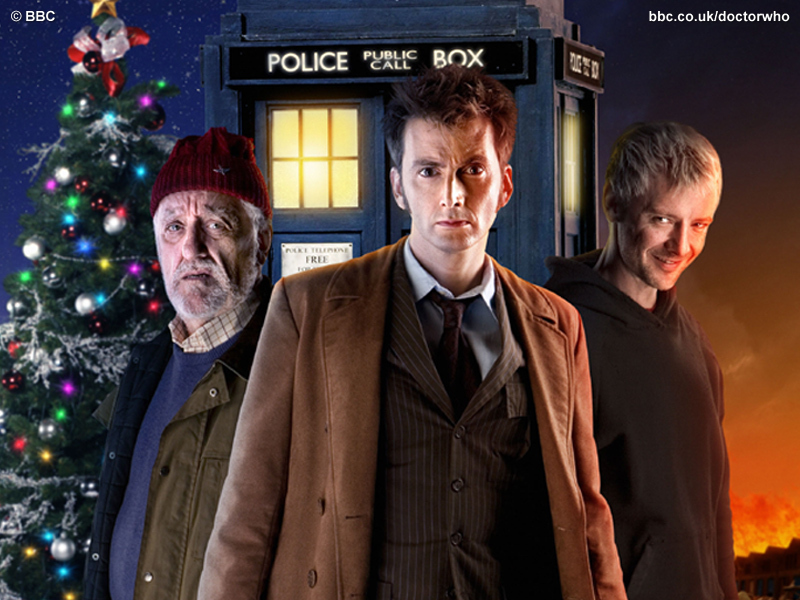 'The End of Time' - Originally broadcast 25 Decemeber 2009 - 1 January 2010. Before I get into this review of the last of the Regeneration boxset serials, I have a short disclaimer to make. I am a relatively recent convert to Doctor Who, having only really gotten into it after its return to the BBC in 2005. Even then, I watched, but was never fully sold on it. There was something about Russell T. Davies' vision of the show which always managed to annoy me as much as it fascinated me. I think it became a guilty pleasure and only very gradually did I recognise I was actually quite a big fan. This is important to this review for two reasons. The first is that it was really David Tennant's Tenth Doctor who convinced me that the show was worth sticking with. The second is that, even once converted, even with my Doctor on the screen, I was never really taken with Davies' vision and whilst it was sad to see Tennant go (more on that later), it was a relief for me to see Steven Moffat taking over in 2010. Who fandom being what it is, there is a very good chance that you disagree with me here, so I ask you to bear it all in mind as you read the rest of my review. These are my thoughts about the final moments of my Doctor. I hope you find them insightful in some way, but don't take them too much to heart. Coming in at around two hours, twelve and a half minutes, The End of Time is a rather long story for the new series. It is also complex, convoluted and, if you try to follow its internal logic too closely, rather confusing. Because of this I don't intend to take you through it step by step, nor do I intend to recap the story. Chances are you've seen it already, but if not, then there's no need for too much in the way of spoilers either. Instead let's break it down into its larger pieces, see where they work and where they do not, and then examine how it all comes together as a whole. Firstly, let's look at the plot. Davies' Christmas specials and series finales have tended to have one thing in common over all other details: they are bombastic, and each one is usually considerably more so than the one which preceded it. The End of Time is no exception. From the opening narration (complete with Davies' recurring Earth-from-space motif) through the flashbacks and exposition and twists and turns, right up to the Doctor's bittersweet victory twenty minutes from the end, this is a story which wants to bring you spectacle and excitement over and above all that previous four and a bit years of Doctor Who had had to offer. There's Wilf, a mysterious woman, some prophetic Ood, a sinister cult, the return of an old enemy and an awful lot of running, and that's just in the first fifteen minutes. Later on there will be technobabble and aliens and the silliest end of humanity yet seen in Science Fiction. Oh, and Time Lords! Let's not forget them. There's actually too much going on, even in the first episode whilst everything's building and Davies' somehow still has time to show us one of the most boring chase scenes ever (through a gravel pit, no less - was he being ironic?) and later an equally boring confrontation. Even the excellent David Tennant and John Simm are unable to save some of their early scenes together. The script feels hollow, the drama false and the special effects are just plain laughable. But it does get better, at least a little. Once the Master's ridiculous plot is shoved aside for the true focus of events, the story finally starts to develop a sense of direction and whilst it's never really what it ought to be, it does manage to generate a sense of excitement and peril. Not Davies' best stuff, but passable Who and considerably more palatable than the nonsense which had preceded it. So what's next? The characters? Why not? There are lots of uninteresting, unimportant or completely throwaway characters in this story, from the singularly dull Joshua Naismith and his two-line daughter, to the slightly more prominent, but still largely unnecessary Vinvocci aliens, but this does allow much more time for the characters that actually matter. Whilst there are some scenes (particularly in that gravel pit) where the script or the cinematography let him down, David Tennant does some of his best work as the Doctor in this story, particularly towards the end, but also notably in two separate conversations with Bernard Cribbins' Wilf, both of which reveal much about the character and set the table, so to speak, for the regeneration which is to come. He is deeply emotional in these episodes, more so than we've seen him before, and yet he's never overacting or hamming it up in any way. This is the Doctor, undeniably, at the edge of all that he is, desperate not to have to say goodbye, and we are utterly convinced. Similarly, Bernard Cribbins steals almost every scene he's in. We've grown to love Wilf over the years and here his warm, grandfatherly demeanor and cheeky sense of humour is heightened to new levels by our own need for some consolation at what we know is coming at the end of all the farcical plotting. John Simm does some good work as the Master, when he's not laughing maniacally or demonstrating appalling table manners. If there's one thing we can be in no doubt of by the end of his first five minutes on screen it is that he is totally, utterly mad. There are the more tender moments, however, in the presence of the Doctor, when we see another side to this character; the side the Doctor sees and desperately wants to set free. Also of note are Claire Bloom, playing the mysterious 'woman' with understated brilliance and Timothy Dalton, whose Rassilon is much better on-screen in part two than he is as an over-dramatic narrator in part one. All told, at this point, if I were to put the pieces I've examined back together and give it a score, it would be a pretty low one. The strength of the key characters is largely overshadowed by the silliness of the plot and whilst this is a Christmas special, and so silliness is not unusual, in my opinion this is the silliest of them all, featuring all the worst excesses of Russell T. Davies' imagination. It's worth maybe five out of ten? Perhaps a six, if I'm feeling especially generous (I'm not). But there is one piece of the story I have left untouched: the ending. As I said before, the story ends with twenty minutes still left on the clock. What follows is an extended ending which, if I were being uncharitable, I might describe as Davies' being self-indulgent with his characters, but for once I'll give him the benefit of the doubt. The last twenty minutes is brilliant. From the moment we hear that fateful knocking on the glass of the radiation chamber, the whole focus of the episode shifts. This is no longer about running through gravel and saving the Earth from egotistical madmen. No. This has become purely a character piece and all our attention is on the Doctor, first on his fear, his anger, his hurt, and then on his tender compassion, his bravery, his loss. 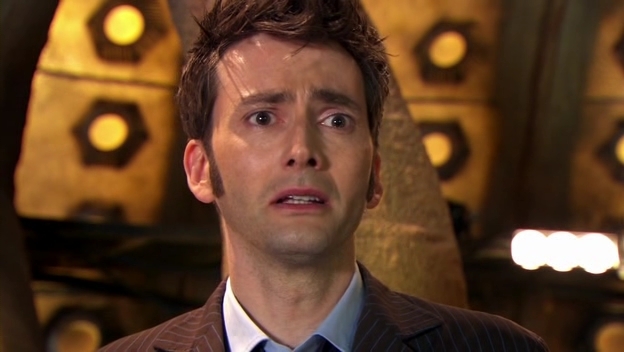 I'm not ashamed to say that David Tennant's performance brought me to tears several times throughout this slow, considered denouement and even though the story I had just watched was not a great one - even though Matt Smith's Doctor has brought me hours of entertainment - I realised that, once again, I did not want to see him leave. As he visits each of his incarnation's companions again, one by one, in gentle, touching, haunting vignettes, we feel the inevitable drawing ever closer and can only sympathise with Ten as he finishes, "I don't want to go." The regeneration itself is spectacular, destroying the TARDIS almost as much as it destroys the Tenth Doctor and then we're left with a fresh new face, a world of new possibilities once more and, above all else, a madman in a box. The End of Time is a confused story. It wants to be so much more than it achieves, but its ending, the part that finishes one era and begins another, is a work of great beauty and redeems much of what comes before it. Taking this into account I have to give it a somewhat more balanced score. The ending itself would easily be worth nine of ten, but that is only twenty minutes out of one hundred and thirty. It's a tough decision, but here goes... 7/10. Maybe that wasn't so difficult after all? The Regeneration Boxset is available to buy from the BBC shop now. I want to love "The End of Time"...and yet there's too much about it to dislike. They counter-balance. Gold and dross all mixed together. The first thing I did not like was the utter lack of continuity from "The Waters of Mars." We were led to believe at the end of Waters that the Doctor had really gone to far and there were going to be consequences for his "Time Lord Triumphant" tantrum. Not so, the End of Time has nothing to do with the end of Waters. 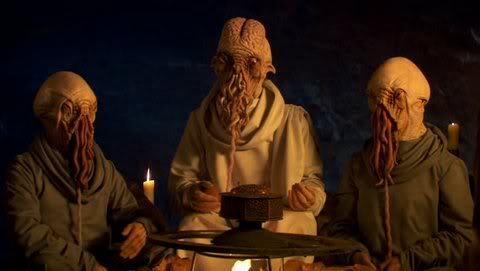 We never find out why the Ood have evolved so quickly. The dross first...well, the typical Davies cartoonish "Silver Cloak" had me gritting my teeth. 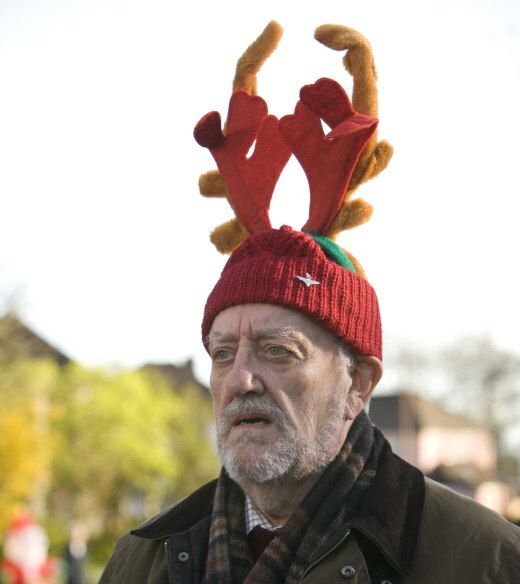 Cribbins was great but the rest...yeesh. Oldsters spouting pop culture. The overblown messiah complex Davies created over four years was tired by the time we get "The Sainted Physician" speech in the church. Donna...what a waste. Really. A regeneration belch that knocks out the Masters? The Master's resurrection and lunacy, as Potterish as it was, I really enjoyed. No, it was campy and nonsense but I didn't mind. Naismith however wasn't even cartoonish..he was barely one dimensional. Naismith was a weak vehicle to get the Master into that arch. Now, the good stuff...let's start with the Time Lords. Here at least they were used sparingly and to good effect..we've been told about the Time War and we've seen how vicious the Daleks are...I've wondered how the boring, somnolent Time Lords could ever wage such a war and here Davies makes them look utterly bloodthirsty and insane. If another Time Lord slips out of that lock, the Doctor will have good reason to be afraid. Dalton's Rassilon was literally foaming at the mouth insane. The final bits between the Doctor and Master, with the Doctor sparing the Master and the Master saving the Doctor, was really great. As usual we have no idea where the Master is at the end of it. Now I'm going to disagree with the end part with Wilf. I hated it, utterly hated it. The Doctor's "it's not fair" temper tantrum at Wilf was unseemly. Given that the Doctor got over his fear back on Planet of the Spiders and hasn't had a single qualm about doing what's right to save people at his own cost since then, Ten's angry rant is a serious regression in a guy we've come to know as a hero. And that's how I want to see the Doctor go out...as a selfless hero, not a selfish brat. It's WILF for god's sake..how many of us would have stomped around angry and ranting? Lovable Wilf? I wouldn't have hesitated jumping in that box to save Wilf. The Doctor shouldn't have either. Can you imagine Nine ranting about having to give his life for a bleached chav? Of course not...Nine went out like a hero. The "victory lap" with the companions didn't bother me nearly as much as the regeneration destroying the TARDIS interior for absolutely no reason. Again...Davies was being self indulgent. The Doctor has regenerated plenty of times in the TARDIS...even the Master did in season 3...and it never caused a nuclear explosion that takes out the interior. But oh well. By the time the "Victory Lap" was happening I was yelling at the TV for Ten to just get on with it and regenerate. Tennant was and is brilliant but I think RTD missed the mark with his swan song. For what it's worth, it was one of the most entertaining episodes RTDs ever written in my opinion. Some say moffats convoluted but at least he had some of it relatively planned. This is just Davies grabbing random leftover strings to tie everything up. And I liked the special effects..